Our January prize, a Nostalgia Kettle Cart Popcorn Maker has been won! 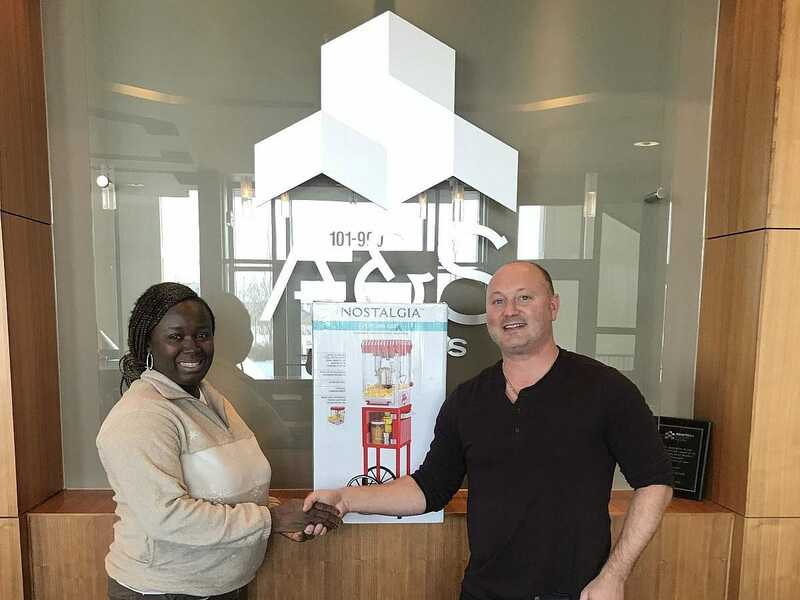 Oye Obatusin is the most recent winner of our VIP Rewards monthly contest, taking home the Nostalgia Kettle Cart Popcorn Maker. That prize may have been scooped up, but you still have lots of opportunities to win. Sign up to become a VIP for automatic entry into our monthly prize draws. This month we’re giving away away a portable HD mini projector. VIPs also receive access to all Virtual Show Homes, and exclusive news about Show Homes, Open Houses, home developments, models and Quick Possessions.